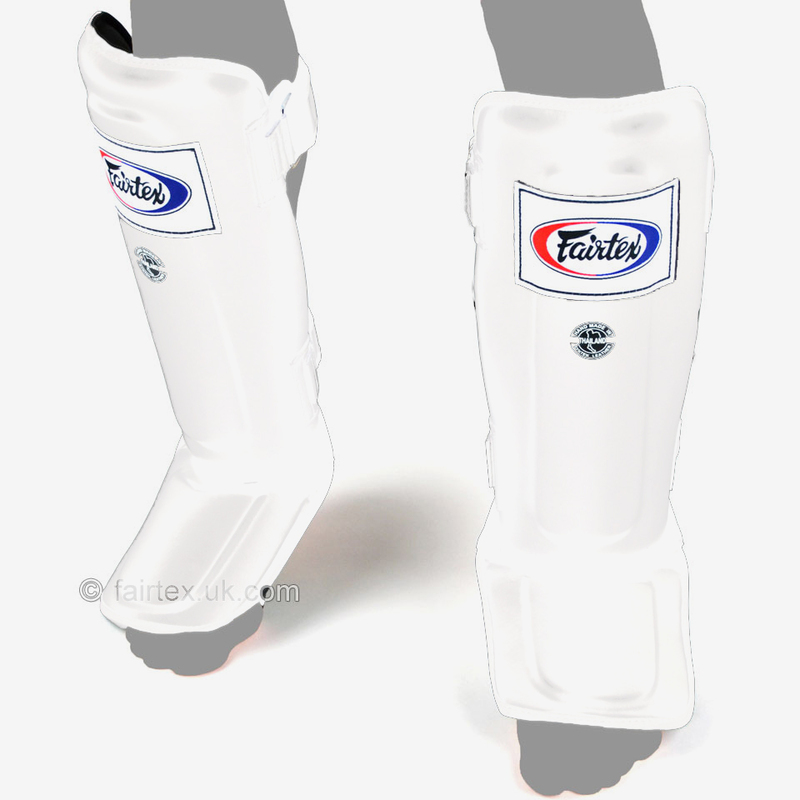 Contoured, form fitting design for a natural feel with fully adjustable leg hook and loop closure straps. 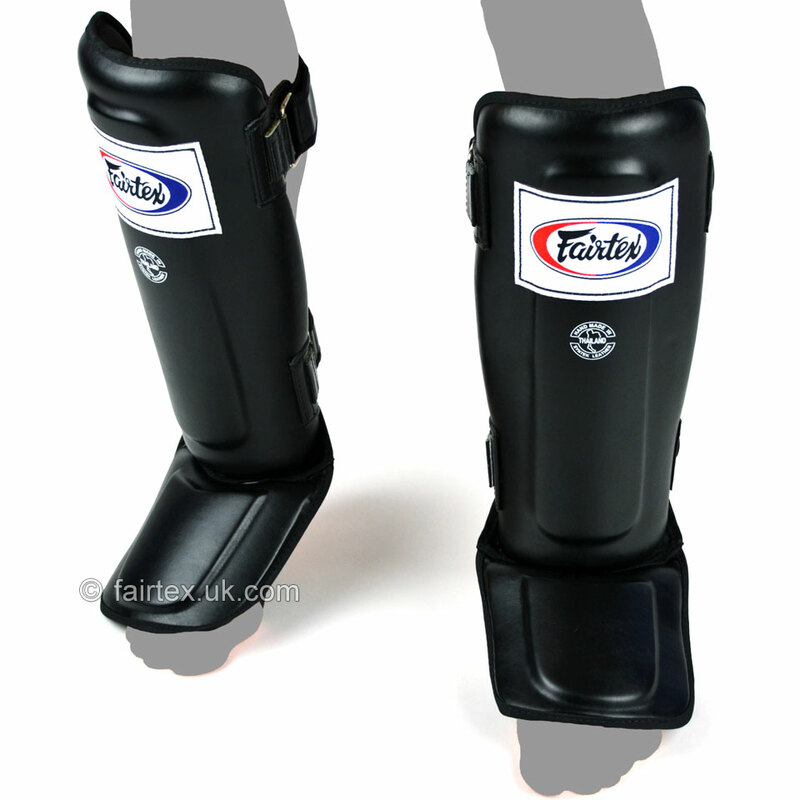 Extended in-step with elastic band strap for maximum secure fit, comfort and protection. 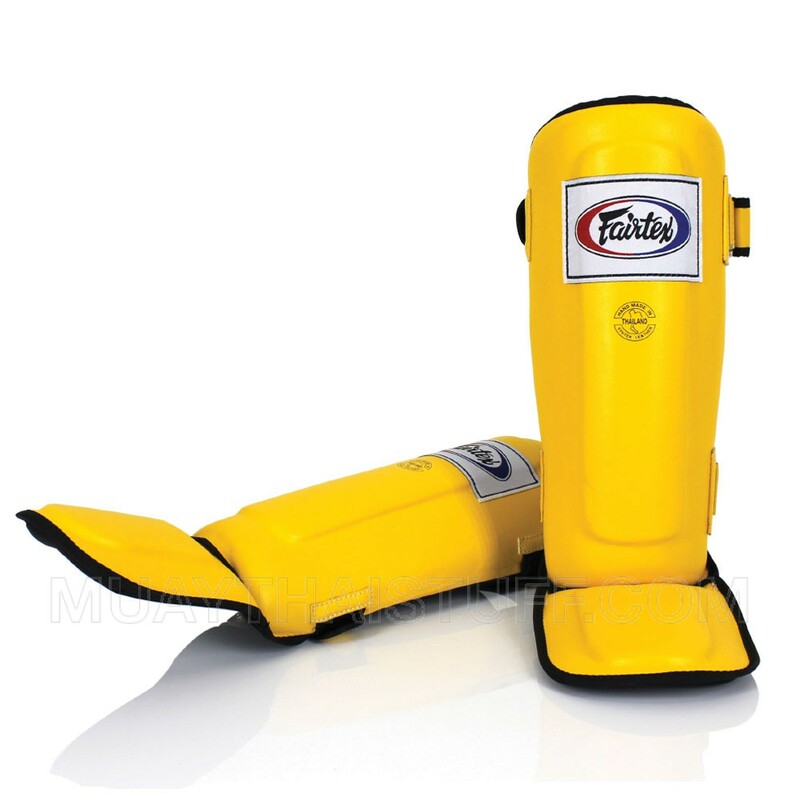 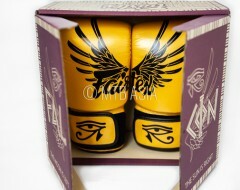 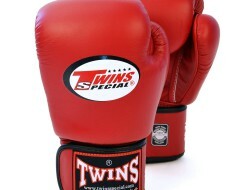 Muay Thai Boxing Singapore is the online retailer for Fairtex products in Singapore. 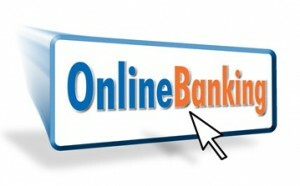 For more information, refer to description at the bottom of the page. 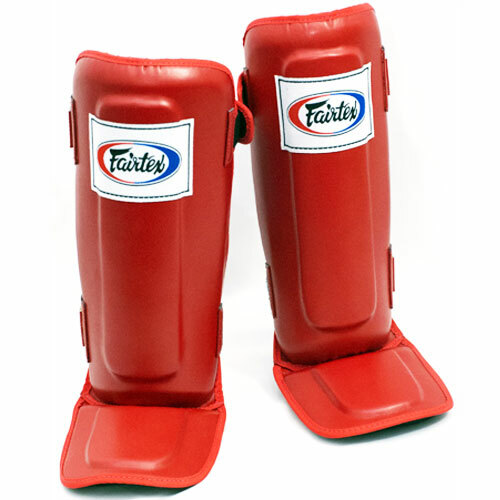 Constructed of soft, yet incredibly durable, premium grade Fairtex Syntek® leather with double layer of contoured high-density latex foam inner-core system. 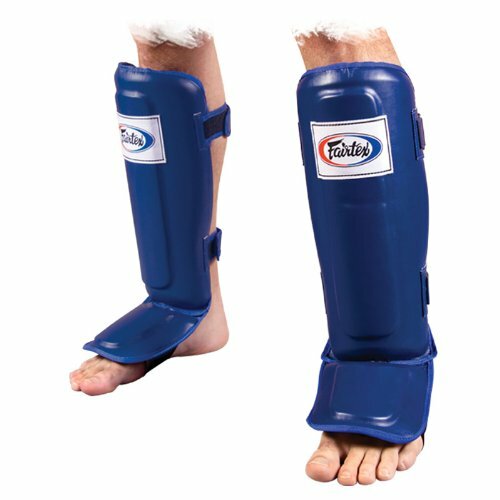 A stitch-free or open system shin and foot protector alleviates the pressure stitching puts on your foot that can cause injuries and uncomfortableness. 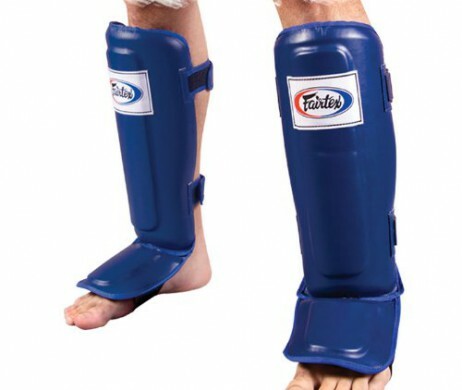 Raised “shin ridge” provides extra protection where you need it most.